Team Edward? Edward needs a tan something fierce. Why can't you show us a photo of you with your mushroom hair and man shoes? 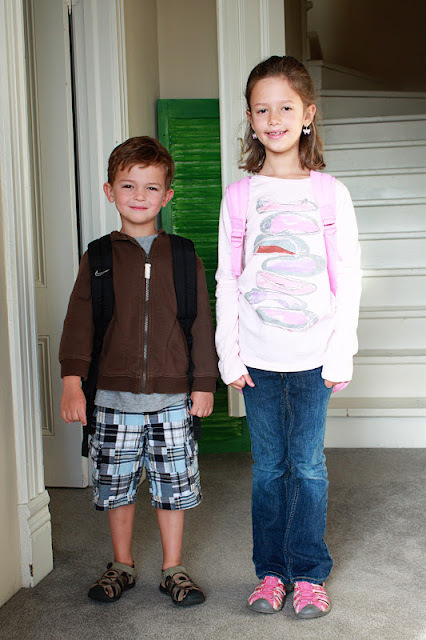 Why are your kids in jeans and long sleeved shirts? Isn't it a sweltering 115 everywhere? Congrats on Madrid in January (coming up so fast!) I hope I can come visit! I may be prepared to be a night or two away from my itty bitty baby Stella by then. We are dealing with crappy day cares and constipation...how do you say that in spanish? Ha ha!